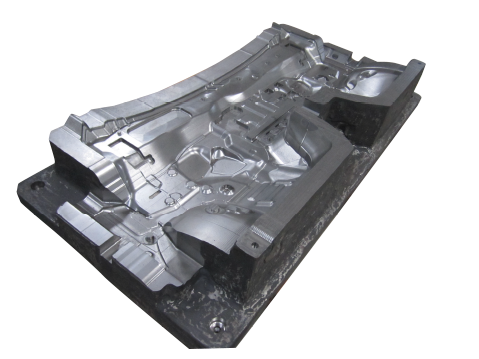 Tool & Die Manufacturing like Press Tools, Plastics moulds and Die casting Dies. 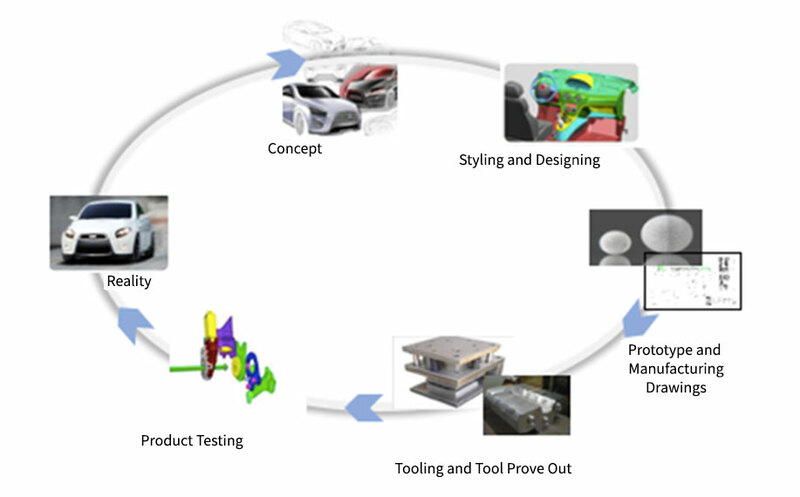 Part Styling, Designing, Tooling, Part Production to match the vehicle image. 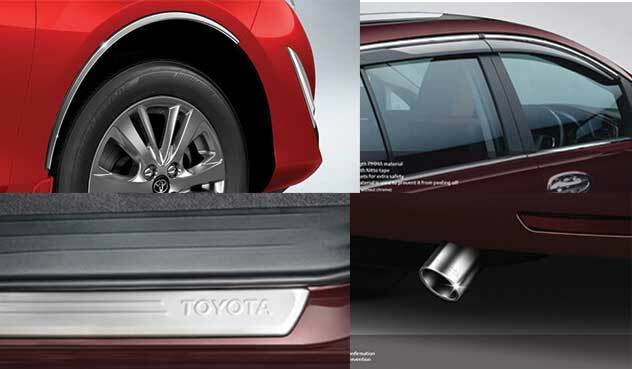 Wheel Arch Molding – currently made for 3 Toyota variants. Chrome along with wheel arch enhances the vehicle image. Its a stainless steel part, made with designated forming tools. After stamping the part goes through surface finish and assembly. There are 6 quality checks for each part. Scuff Plate – installed on car door sill. Component is made with High Grade Matt Finish Stainless Steel. 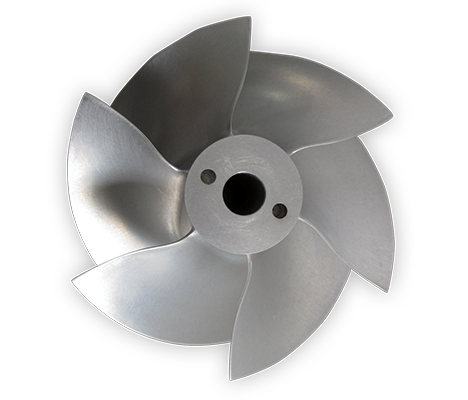 Blanking, forming and piercing process is used for making the part. Brand Logo is embossed to make it more stylish. Part is lined with rubber beading and installed with double sided tape. Exhaust Pipe Cover/Muffler Cutter – Stainless steel accessory, rolled and formed, adds a sporty edge to the cars and 2 wheelers. It enhances vehicle rear aesthetics. We specialize in Reverse engineering and Prototyping as per the customer need. We undertake one time or small quantities of prototypes. Aluminum blocks are machined with high precision to achieve the dimensions. 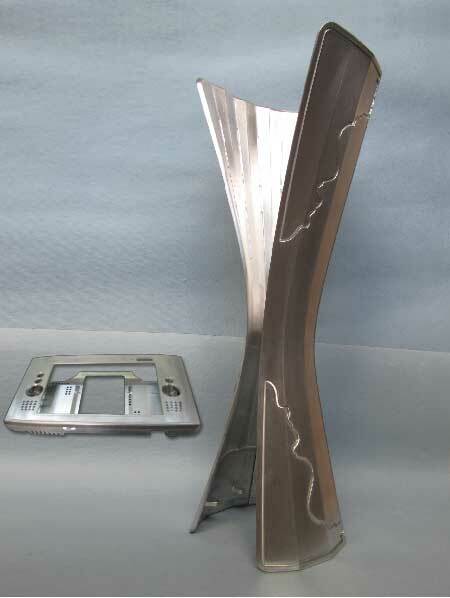 Trophy designing, machining, plating, enamel painting is a niche area. We develop Tools for Sheet metal forming. Design and manufacture Compression moulds for non woven felt used in NVH parts in automotive industry. Control Keypads for the automotive equipment and consumer goods. 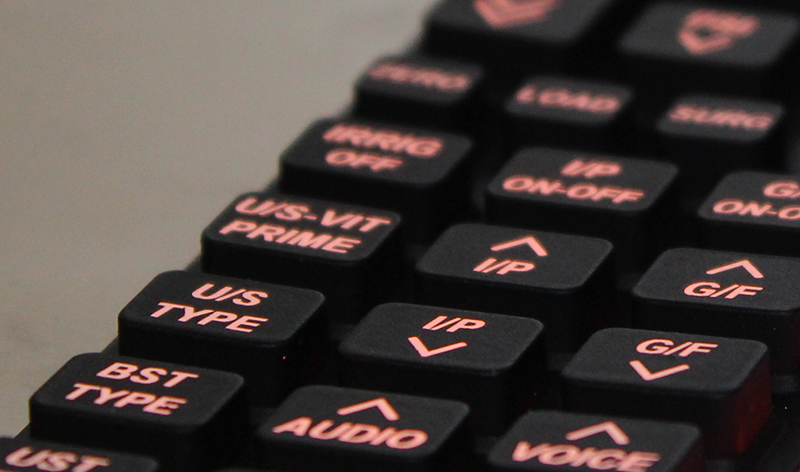 -Plain or Coloured keypads with Conductive contact. -Keypads with backlit text / graphics. -Gasket and Seals for plastic & metal enclosures. Manufacturing capacity upto dia. 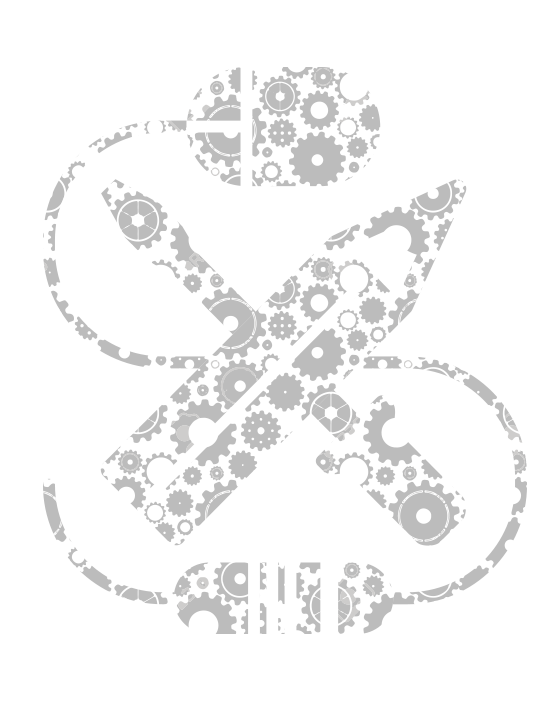 2000 mm with dynamical balancing. Machining of High speed, stage impellers for turbo machinery with dynamic balancing is done.  Automechanika Frankfurt is the world’s leading trade fair for the automotive service industry. In 2018 the biennial trade fair will be celebrating its 25th anniversary with a host of new themes and REIFEN as a co-located show. Automechanika Frankfurt is the most important trade fair for the automotive aftermarket and has been organised by Messe Frankfurt since 1971. Approx. 133,000 trade visitors from 170 countries came to the last event. In 2018 more than 5,000 exhibitors present their new products and latest developments. 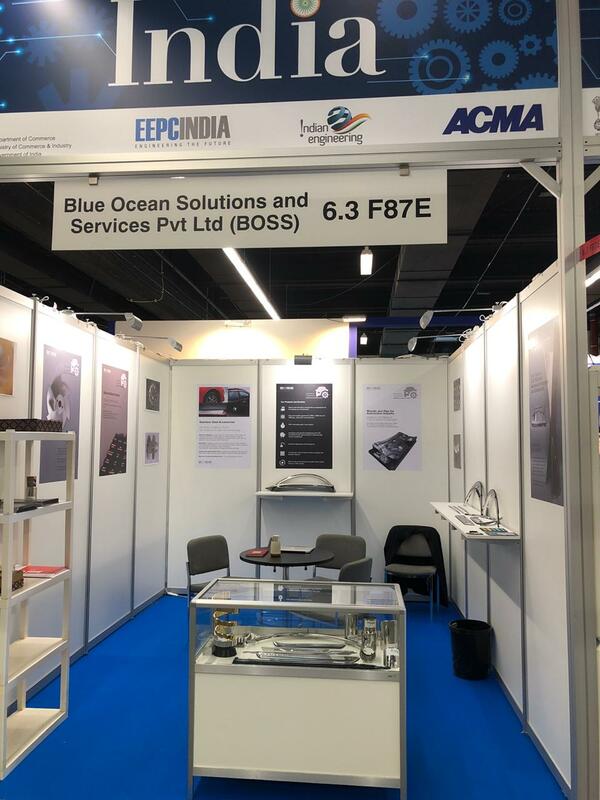 Blue Ocean Solutions and Services Private Limited (BOSS) is an Indian Engineering Excellence company specializing in product design, development and technology innovation for high tech manufacturing solutions. We manage end-to-end product design, development and supply cycle with the focus on customizing unique products and solutions for our customers with our well-equipped tool room hosting 5-axis CNC machines and stamping facility with C-frame presses from 110 ton to 400 ton. BLUEOCEAN Solutions and Services Pvt. Ltd.